Welcome Summoners to the Ultra Rapid Fire URF Tier List, your guide to playing the most powerful champion picks. Almost any champion is strong in URF Mode, however there are those who stand above the rest. In this URF Tier List, those are the champion we will focus on. We have included a listing of some of the best core items, on some of the best champions in Ultra Rapid Fire. With Picks like AD Malzahar you might find yourself asking, “what do i build on a AD Malzahar”. Well we got you covered, the best and sometimes items that are a must build on champions in urf mode. Before we get into this URF Tier List, first lets talk about what makes URF Mode so different from other game modes. Prepare yourselves for the madness! Every level gained after 18 will increase your champion base stats, it will NOT unlock more Skill Points for champion skills. The Ultra Rapid Fire Tier List is a Best URF Mode Champion Pick Guide, The Best Champions available in this crazy game mode. 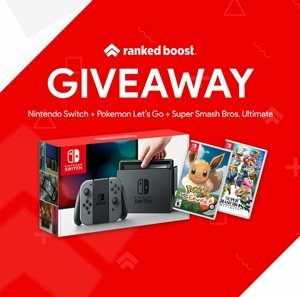 S-Tier being among the strongest picks, while F-Tier full of the weakest. In this Urf Tier List the Best champion are not just support champions, those that can do damage as well are still strong. Sona, Lulu, and even Karma are some of the most overplayed URF champions. The Best URF Champions are those who have lots of power with these low cooldowns, like Galio, Evelynn, and Ezreal. Lets not forget how the Tank Meta is in full swing right now. 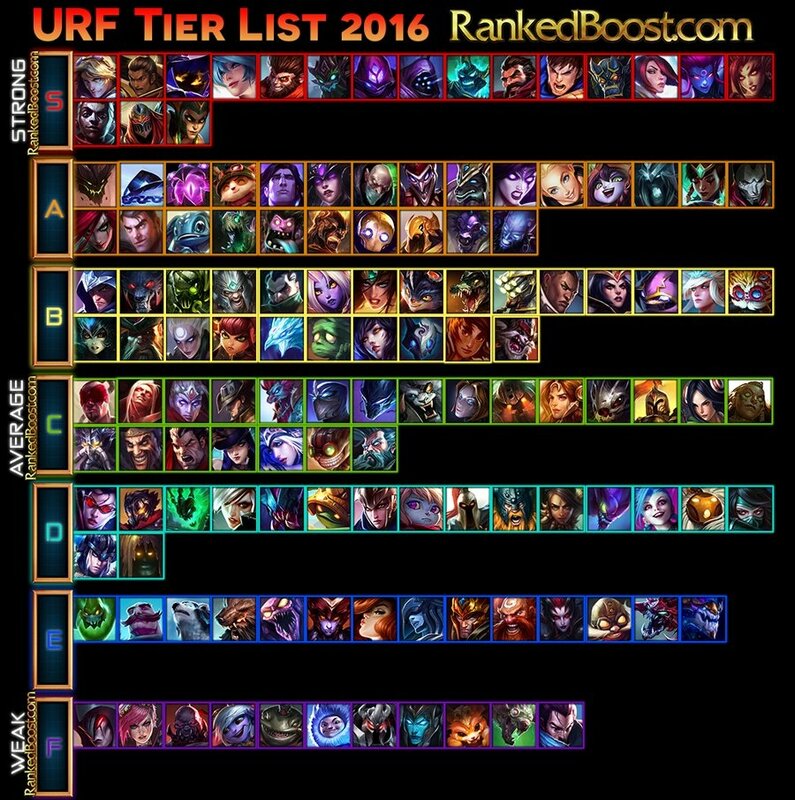 URF Mode Champions like Mundo and Ekko, are going to be very popular in this Ultra Rapid Fire Tier List. Now for the crazy amounts of buffs, or as riot refers to them as “Awesome Buff of Awesomely Buffing”. These are the bread and butter of this game mode. (NEW) Every third hit will deal 100% of the damage it was going to do. Minions take Tons Of Damage! Malzahar (AD): Playing AD Malzahar is very strong in URF Mode thanks to his Voidlings. Since there is no mana cost, spaming your W spell to summon a army of these critters is easy. They scale very well with flat AD, so couple of these can easily solo enemy champions not to mention the Objectives as well. Couple of Core Items on AD Malzahar: Mercurial Scimitar – Maw of Malmortius – Hextech Gunblade. Galio (AP/Tank): Easily the most broken champion in Ultra Rapid Fire this season, as well as the highest ranking pick in this URF Tier List. Mashing your keys on the keyboard has never been easier, with the bonus of taking no damage. The items we recommended on Galio: Spirit Visage – Abyssal Scepter – Banshee’s Veil. Fiora (AD/Tank): Underrated in URF Mode, still one of the best champion picks in this Ultra Rapid Fire Tier List. Point at the target you want died, then mash your Q-W-E like your playing the piano. You will take no damage half the time due to your W channel time. The Best items on Fiora in URF: Ravenous Hydra – Maw of Malmortius – Spirit Visage – Lord Dominik’s Regards. Garen (AD/Tank): Step 1 gets some Tape, Step 2 Tape Down your E Key, Step 3 Do tons of damage. Of Course on occasion using your R ult to secure the kill. given the chance garen can be one of the biggest threats in this Ultra Rapid fire tier list. Items that we Recommend: Deaths Dance – Maw of Malmortius – Black Clever. Ekko (AP/Tank): Its no surprise to see ekko ranking high in this Ultra Rapid Fire Tier List. This champion already has so much mobility, with his ult he is pretty much unkillable without some CC. Ekko is another ban we recommend in this URF Tier List. However if you do play him, you should build these items: Hextech Protobelt-01 – Rabadon’s Deathcap – Zhonya’s Hourglass – Lich Bane. Maokai (Tank/AP): One of my personal favorite URF Champions for bullying during lane phase. Spamming sapling everywhere, along with all that sustain from his passive. If built tanky enough, maokai can be super annoying to deal with. Maokai best core items: Hextech Protobelt-01 – Spirit Visage – Rylai’s Crystal Scepter. Zed (AD): This champion in this game mode might as well be a ranged carry. You never have to get close to the enemy, you can zone them easily with your shadow clone and spaming Q / E. Mostly this Season Zed has been perma banned, if your lucky enough to play him. We recommend these items: Youmuu’s Ghostblade – Duskblade of Draktharr – Maw of Malmorius – Mercurial Scimitar. Syndra (AP): Syndra can almost one shot anyone who isn’t a mega tank. simply stacks lots of Q orbs, then proceed to pres the R key. Syndra build is more standard then most champions you will find in this urf tier list. We recommend this items: Rabadon’s Deathcap – Zhonya’s Hourglass – Rylais Crystal Scepter – Luden’s Echo.